Allie Jackson: New Year, New Wardrobe Social Sew Round Up! I love Lara Liz's concept of "Me Made Monday" in which she wears/blogs an all-handmade outfit every Monday. If you do this for a year, it would give you a much better idea of your handmade wardrobe than Me Made May, I think, since you hit all the seasons. 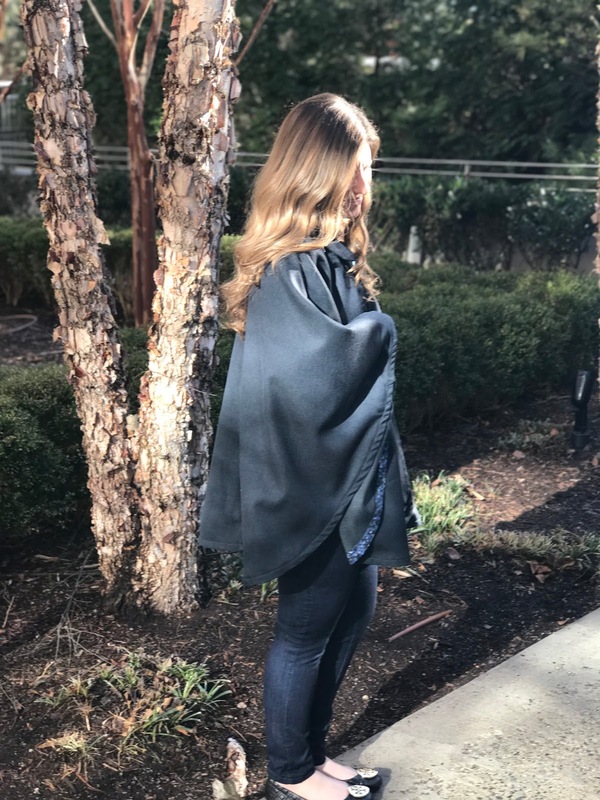 I love her addition of a huge cape over staple Ginger jeans and Scout tee! Tenille lives in Australia and it's the middle of summer for her, so she made a lovely black kimono dress as well as a vintage raglan sleeve top from the 80s (that reminds me of my 60s swing dress) and some dress pants. A whole wardrobe! Carmen has a very cute short haircut (so cute, really) and a verrrrry cozy tried and true cardigan sweater. Sewing by Ti has another cozy sweater to show off as well as another link up; did you participate in Watcha Wearing January? Lassemista (which I can never spell correctly the first time!) has made a lovely Liberty version of the ever-popular Archer shirt. Staple is right! Seam Racer has a three-piece layered outfit spanning four decades and three pattern companies and totally pulls it off. Fellow librarian (hey girl heyyyy) Maddie made an Orla dress from the most gorgeous Rifle Paper Co floral ever. Also she loves tried and true repeat patterns. We have so much in common, y'all. Kirsten from the Dress Bakery made an amazing pink skirt suit--very Elle Woods (so I am obviously a fan). Thanks so much to this month's participants... I'm so pleased to see everyone's first makes of the year! I was so excited to join in for the Social Sew this month! Thanks for hosting and featuring our makes - I love your thoughts on Me Made Monday. It'll will be so cool to look back at the end of the year to see all the outfits!